Enhance Health and Beauty – Carrick on Shannon – Enhance Health and Beauty was established in 2002 by its proprietor Grainne Caldbeck . 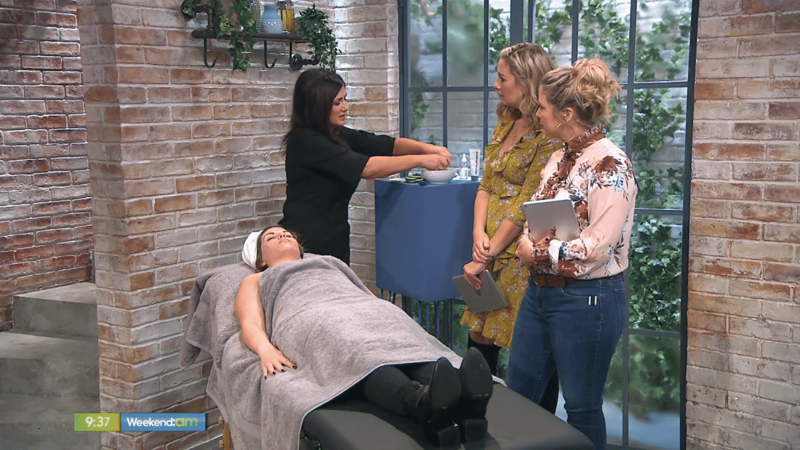 Grainne has a vast knowledge of the Beauty industry with over 20 years experience treating many well know celebrities and appearing as a beauty consultant on many Lifestyle programmes for BBC2, RTE, and Irish TV. Enhance Health and Beauty was established in 2002 by its proprietor Grainne Caldbeck . Grainne has a vast knowledge of the Beauty industry with over 20 years experience treating many well know celebrities and appearing as a beauty consultant on many Lifestyle programmes for BBC2, RTE, and Irish TV. Enhance salon is located just outside Carrick on Shannon in the retail park. 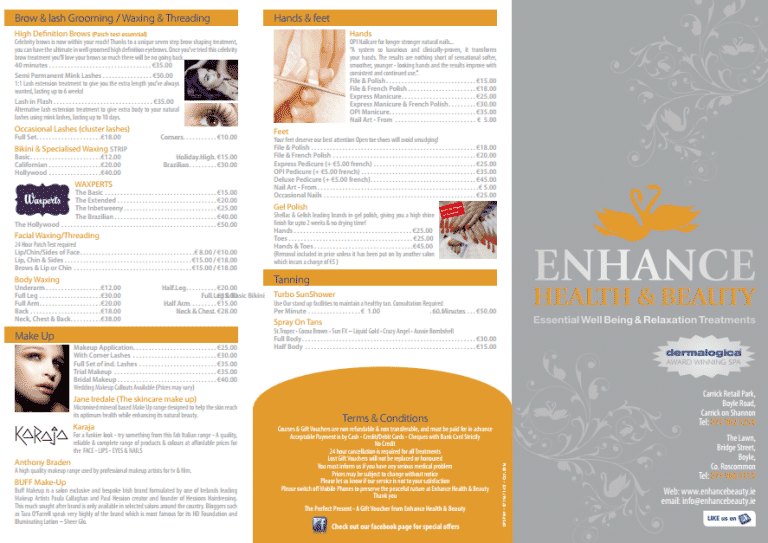 Here at Enhance we offer an unrivaled list of services catering for all your beauty and relaxation needs. Our salons will help you unwind offering you a tranquil retreat from the busy world outside. Enhance Beauty Salons offer a large selection of beauty and holistic treatments including,waxing, laser hair removal, Dermalogica & Decleor Facials, microdermabrasion & AFA Amino Acid facial peels, Microneedling, Botox, Shellac, manicures, pedicures, body treatments, massage, reflexology, semi-permanent lashes ,Bridal makeup, etc. I cannot thank Grainne enough for making me, my mother and my bridal party feel so amazing on my wedding day 15th December. She was so wonderful and nothing was too much trouble! I would recommend her to absolutely everyone!! I've been going to Grainne and the girls in Enhance for years now. They are true experts at what they do and the range of treatments that's offered has something for everyone. There is no better place for HD brows, makeup application, facials and gel nails in Carrick in my opinion!